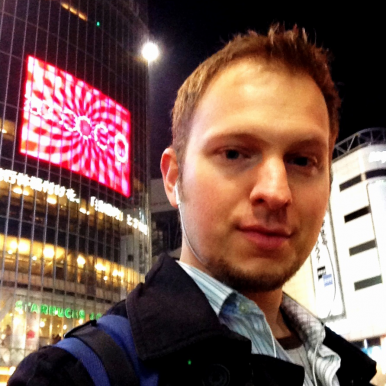 Jonathan DeHart writes primarily about art, culture and social trends. Previously, he worked as a journalist for both print and online media in Shanghai and served as associate editor for The Diplomat in Tokyo. The Diplomat speaks with street photographer Jonathan van Smit, whose stark images reveal life on Hong Kong’s fringe. After 150 years of religious suppression, tattoos have returned to their rightful place as cultural symbols of Polynesia. Thailand’s ancient tradition of mystical tattooing, known as sak yant, is thriving in the kingdom today. Despite an illustrious past and revered status overseas, Japanese tattoos have long struggled for acceptance at home. An interview with American artist Chris Coles on his watercolor visions of Bangkok’s seedy side. The Diplomat spoke with art restorer Borany Mam about the efforts to restore Cambodia’s endangered canvases. From Ho Chi Minh City to Hanoi, eating on the street in Vietnam is a treat. 6 Pack Band has put the stigmatized transgender community on the global creative map. But there’s a long way to go. Ninjutsu, cryptography and ancient history come together in a high-octane adventure. The best part: the hero is a teenage girl. The Chindian Diaries explore a unique mixture of ingredients in Southeast Asia’s cultural melting pot. Olivia Culpo faces potential fines for her fashion shoot at the Taj Mahal. Officials permitted around 170 to gather in Surat for Gujarat’s first gay pride parade.